Would you pay $6,500 to see inside Roden Crater, the land art that James Turrell has been working on for nearly four decades? Perhaps it is fitting to post this on the birthday of two individuals whose works I admire, artist James Turrell and John Pawson. The two share an affinity for the perception of light and space. I have been intrigued by the Roden Crater Project for over a decade when I first learned about it in the New York Times. Writers have been comparing the 400,000 year old Roden Crater to the ancient Mayan pyramids or a modern-day version of Stonehenge. 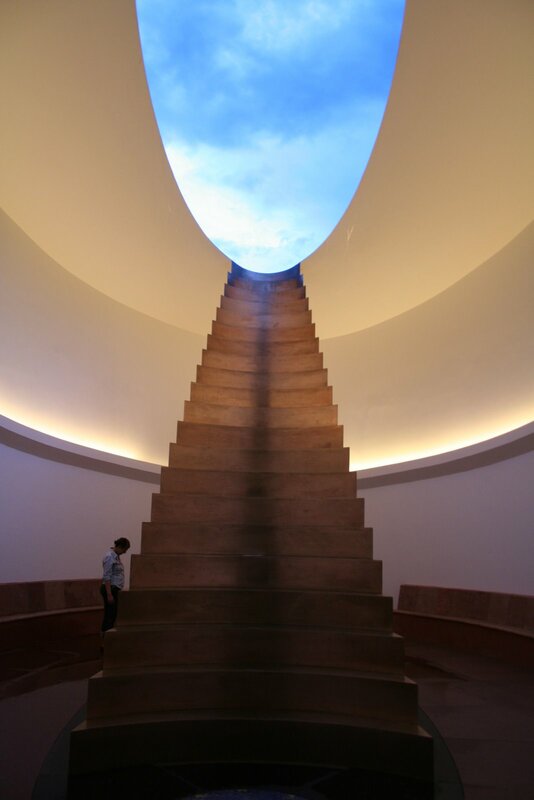 Turrell conceived his grand project as an exploration of astronomy, celestial events, and the study of light and perception of space in particular. During his seven month-long search in North America for a specific location, Turrell happened to fly over the crater in his single-engine plane. He managed to secure funding for the project in 1977 although major construction did not begin until 22 years later, moving about 1.3 million cubic yards of earth to shape the Crater Bowl and the network of underground tunnels and hidden viewing galleries beneath the crater.